Thermo Fisher Scientific introduces the new Beta Plus basic weight transmission sensor which allows thin film manufacturers and other web gauging users to reduce waste and increase saleable product. 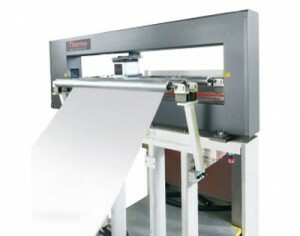 The Thermo Scientific Beta Plus Basis Weight Transmission Sensor uses either a Kr-85 or Sr-90 source designed to offer accurate, higher-resolution basis weight readings for webs and films between six and 7,000 grams per square meter.The sensor with the Kr-85 source is designed to measure basis weight of very thin film while providing approximately five times the usable life of comparable sensors on the market. Thermo Scientific adds that the Beta Plus sensor, designed for reliable and accurate detection of edge variations and streaks, offers Improved shielding and design geometry engineered for added safety for the system’s operators.